eOne and Nick Jr. released the latest compilation of episodes from Nick Jr.’s family favorite series Peppa Pig this week. Peppa Pig: The Balloon Ride was released Tuesday. As with the series’ previous releases, it’s another collection of episodes that the series’ young viewers will thoroughly enjoy. Parents will appreciate it just as much. The main reason that both parents and children alike will appreciate this latest compilation is the episodes’ short run time and collective run time. Another reason that audiences will value this compilation is the same reason as before. That reason is its writing. And last but most definitely not least of all is its ability to connect with its viewers. All these factors together make Peppa Pig: The Balloon Ride one more welcome addition to any family’s home library. The primary reason that audiences will appreciate Peppa Pig: The Balloon Ride is the collective run time of the episodes culled for the collection. The total run time listed on the DVD’s case is one hour. There are twelve shorts total included on this disc. That equals to roughly five minutes per short. That is perfect for the show’s younger viewers as it is just long enough to keep the attention of the said audiences. Any longer and young audiences might become disinterested and in turn bored. This would lead parents to have to find other ways to entertain children. Coming full circle, that means that once more the short run time of each short will keep young viewers thoroughly entertained even if only for an hour. Any parent will agree that an hour of having a child entertained is an eternity of peace and quiet. So, kudos are in order for eOne and Nick Jr. for that. By direct connection, the writing in each of the short is another big part of why they will keep young viewers entertained. The run time of the shorts both by themselves and collectively is just the tip of the iceberg that makes Peppa Pig: The Balloon Ride another welcome addition to the home library of any family with young children. The writing continues in these shorts to be another reason for the compilation’s enjoyment. Rather than write shorts that teach moral lessons, the series’ writers continue to write short stories that teach basic concepts for younger audiences. Those concepts include learning how to whistle, learning how to ice skate, and valuing what one has rather than always having to have new and shiny things among many other concepts. The latter of those noted lessons comes in the short “The New Car” while the lesson about ice skating lies in the aptly titled short “Ice Skating.” And “Whistle” teaches young viewers how to whistle. These are simple concepts to adults, obviously. But to a toddler and even pre-school age viewers, these are largely alien concepts. The writers have presented them in ways that make them easy for said viewers to grasp. That applies to the shorts not noted, too. That ease of understanding coupled with the lessons taught in each short add even more value to this DVD. And partnered with the ability of the shorts to connect with viewers, this compilation gains even more value for families with young children. eOne and Nick Jr. offer parents and children plenty of reason to enjoy Peppa Pig: The Balloon Ride thanks to the writing that went into each short and the shorts’ collective run time. The ability of the series’ writers to connect with the show’s young viewers through each short is the cherry on the top of this treat for the whole family. Each episode is written not necessarily from the perspective of Peppa. She is however, the central figure in each short. The resultant effect is that younger viewers will be able to relate more to both her and her brother. As with the writing and run times of each episode, this final factor will help that much more to keep young viewers engaged. And together with those factors, it rounds out the entire presentation, making it again, one more DVD that the whole family will appreciate. 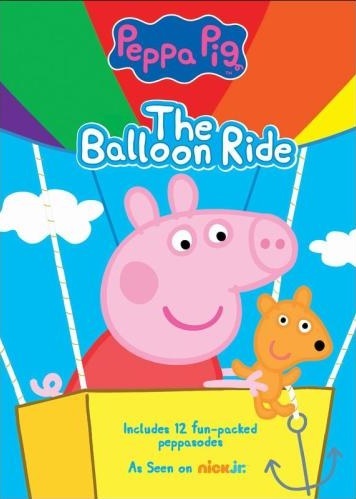 Peppa Pig: The Balloon Ride is available now on DVD in stores and online. More information on this release and others, as well as the Peppa Pig series is available online at http://www.facebook.com/OfficialPeppaPigUS and http://www.peppapig.com/us. To keep up with the latest sports and entertainment reviews and news, go online to http://www.facebook.com/philspicks and “Like” it. Fans can always keep up with the latest sports and entertainment reviews and news in the Phil’s Picks blog at https://philspicks.wordpress.com. Peppa Pig’s latest collection of episodes will hit stores next Tuesday, March 18th courtesy of Entertainment One. Peppa Pig: My Birthday Party offers young viewers fourteen more fun-filled shorts from Nick, Jr.’s hit series. Whether or not audiences are familiar with Peppa Pig, everyone will agree that there is much about this show that makes it perfect for pre-school age viewers. One of the many aspects of the show that makes it so enjoyable for young viewers is that its shorts are no more than roughly five minutes. Viewers that are less familiar with the series will see this firsthand when they purchase or order this new DVD. Another positive aspect of the series displayed in the shorts on this DVD is the ability of the writers to balance entertainment and important life lessons within such a small span of time. That in itself is a feat worth noting. And one would be remiss to omit any mention of the series’ animation style. Because it is made to look like it was drawn by a child, it becomes all the more accessible for young viewers. These are just a few examples of what makes the episodes in this latest DVD from Peppa Pig enjoyable for young viewers. Every family will find their own positives when they purchase or order the DVD for themselves. Regardless of which aspects each family finds that makes the episodes on this disc so enjoyable, every family will agree that everything noted here makes it a DVD worth having for their pre-schooler. Peppa Pig: My Birthday Party is not the first home release of shorts from the aforementioned series. Despite this, there may still be some families that have yet to experience what makes this Nick Jr. series so popular with both its viewers and their parents. The first notable positive of the episodes collected for this compilation is the run time of each short. Each short included on this disc barely tops the five minute mark. This far outperforms the shorts of most other children’s programs. The shorts of said shows can run anywhere from fifteen minutes to a full half hour. That makes keeping young eyes engaged without breaking their attention difficult. So by comparison, the heads behind Peppa Pig have done quite a bit right with the timing on these shorts. 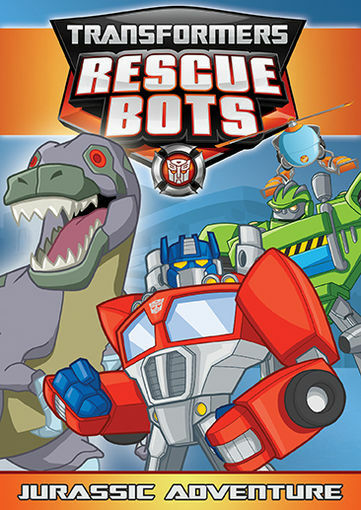 The short run time of the episodes in this compilation is the foundation of what makes them a perfect collective group of episodes for pre-school age viewers. Just as important to note in these episodes is the work of the series’ writers. The series’ writers only had five minutes with which to work and entertain and engage audiences. The writers utilized every second of that short time span, making the shorts both entertaining and in some cases educational so to speak. They did so without letting the shorts feel like they’ve been jammed with content, either. For this reason, the series’ writers deserve a standing ovation. It shows just how well they have been trained in their craft. Audiences will find themselves applauding the writers for this reason, too in watching this DVD. A couple examples of episodes containing important lessons in this set are “Dens” and “Grandpa Pig’s Boat.” In “Dens,” Peppa and her friends learn a very important lesson about not excluding others. In, “Grandpa Pig’s Boat,” Peppa’s grandfather learns his own important lesson about bragging to others and the potential consequences. There are more lessons and fun included throughout each of the DVD’s fourteen total shorts than there is time and space to mention everything. As with the short run-time, that balance of entertainment and education makes this DVD all the more worth purchasing and/or ordering for any family with young children. The writing and run time of the shorts included in Peppa Pig: My Birthday Party are both integral to the overall enjoyment of the episodes collected for this DVD. There is one more aspect worth noting that makes these episodes especially enjoyable for those that perhaps are less familiar with Peppa Pig. That aspect is the series’ animation. 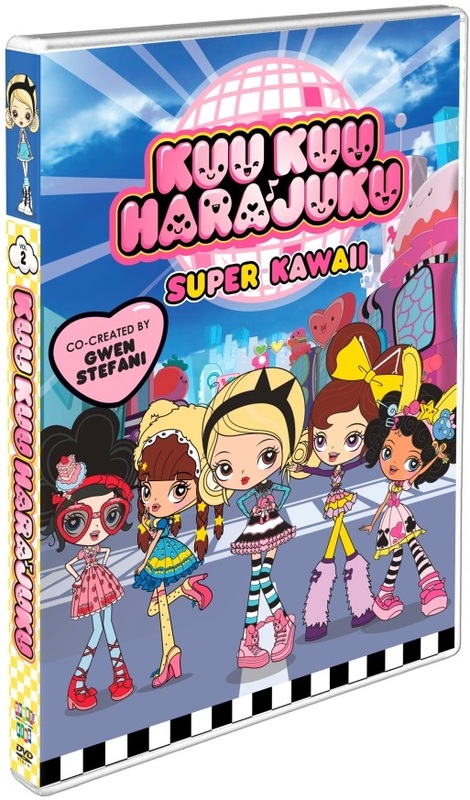 Audiences will note in the episodes on the latest DVD that the shorts look like they were drawn by a child. This was no accident. That they look like they were drawn by a child makes them more relatable to young audiences. That ability to relate to the show’s target audience serves even more to keep viewers fully engaged. Given, it isn’t the only series to use such animation style. PBS Kids’ Peg + Cat uses a similar animation style. But it is the only other example of a series that uses such animation style that comes to mind. CG graphics dominate most of today’s children’s programming. So even if the animation of these episodes was created via computer, it doesn’t show. That is a true testament to the series and these episodes on s smaller scale. It makes the episodes all the more examples of what makes these episodes (and the series as a whole) so original and so enjoyable for young eyes and minds. 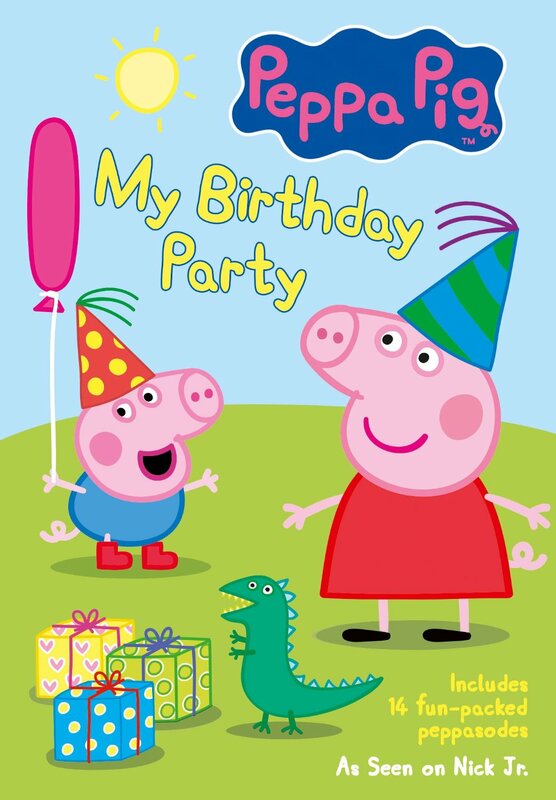 Peppa Pig; My Birthday Party can be ordered now online via Amazon at http://www.amazon.com/gp/product/B00FWVXRLG/ref=s9_simh_gw_p74_d0_i1?pf_rd_m=ATVPDKIKX0DER&pf_rd_s=center-2&pf_rd_r=15X655GDEJKNC4G1306Z&pf_rd_t=101&pf_rd_p=1688200382&pf_rd_i=507846. More information on this and other Peppa Pig DVDs and all things Peppa Pig is available online at http://www.peppapig.com, http://www.facebook.com/OfficialPeppaPig, and http://twitter.com/PeppaPigCartoon. To keep up with the latest sports and entertainment reviews and news, go online to http://www.facebook.com/philspicks and “Like” it. Fans can always keep up with the latest sports and entertainment reviews and news in the Phil’s Picks blog at https://philspicks.wordpress.com. ‘Bully Bully’ is a fitting song in the current era as the country continues to tackle the ongoing bullying epidemic of childhood bullying. Kemp and her band mates sing straight forward about the problem of bullying, “It won’t stop until we all say stop/So STOP/Stop bullying me/Stop bullying me.” This is a simple statement. But it’s such a powerful statement at the same time. It’s a true statement. Rather than letting children be victims and in many cases become martyrs of sorts, all it takes is simply standing up to bullies and telling them to stop. It’s incredible what someone standing up to a bully can do for a person. The force that Kemp and company use when they say “STOP” really drives home the importance of not being mousy about standing up to bullies, either. One doesn’t have to be as mean as the bullies. One needs just stand up to a bully and be firm. Tell that bully in a voice that lets them know a person means business plain and simple, “STOP!” They’ll typically back down pretty quickly. This is just one more of so many outstanding songs on this debut effort from Shine and the Moonbeams. It’s one of so many songs that again, makes it one of the best albums of 2013 for both children and parents alike. The album is available now. It can be ordered online via Amazon at http://www.amazon.com/Shine-Your/dp/B00DDBEBE4/ref=sr_1_cc_2?s=aps&ie=UTF8&qid=1371757895&sr=1-2-catcorr&keywords=Shine+and+the+Moonbeams. The band is currently touring in support of its album. Its next performance is at the River Celibration Day festival at West Harlem Piers Park on June 29th. 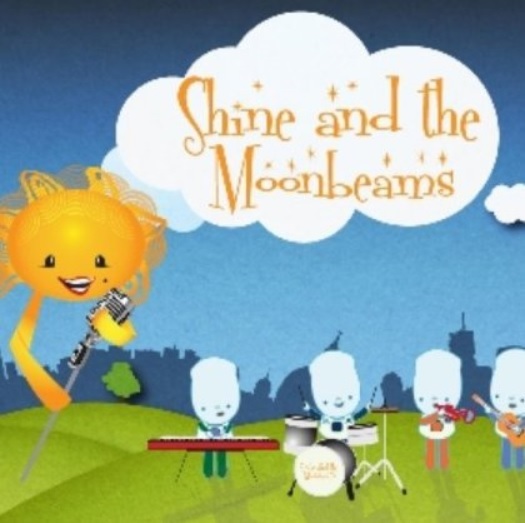 Fans can get a complete listing of the band’s tour dates and all of the latest news from the band on its official website at http://shineandthemoonbeams.com and on its official Facebook page, http://www.facebook.com/pages/Shine-and-the-Moonbeams/234481786657193. 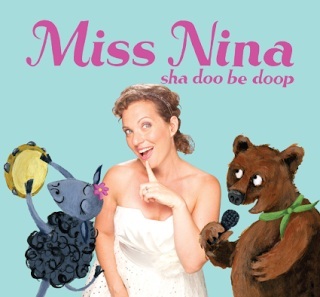 Brooklyn, NY based children’s entertainment Miss Nina has crafted in her new album an opus that is everything that audiences think of when they think of children’s music. Rather than take the more mainstream route that many of today’s children’s artists have taken with their releases, Miss Nina (A.K.A. Nina Stone) has take the road seemingly less traveled on She doo be doop. This album is directly aimed more at her young intended audiences both musically and lyrically, rather than their parents. This isn’t necessarily a bad thing, either. If it were used on television, the music on this album is what one might expect to hear on programming from the likes of Nick, Jr. and in some cases, even Disney, Jr.
Parents may not be one of the intended audiences with Miss Nina’s new album. But with the kid friendly lyrics and equally fun music, they’ll be glad to play these songs for their kids. They will especially appreciate Miss Nina’s dedication to children’s literacy. Believe it or not, she openly pays tribute to classic children’s stories the likes of Where The Wild Things Are, Brown Bear, Brown Bear, What Do You See and How Do Dinosaurs Say Goodnight? On her new LP with her own take on the stories. Perhaps the best of those adaptations is her take on Brown Bear, Brown Bear, What Do You See?, ‘Brown Bear Rap.’ Yes, she makes it into a kid friendly rap. No doubt it’ll have any young listener moving and dancing as will her musical take on Where The Wild Things Are. Miss Nina was actually pretty smart in taking these children’s stories and putting them to music. By doing so, not only is she entertaining young listeners, but is also promoting childhood literacy through an original and fun avenue. For that, parents will especially appreciate the inclusion of the aforementioned songs. As entertaining as her musical literary adaptations are, they aren’t the only songs on Miss Nina’s new LP. The album’s opener, ‘My Hula Hoop’ is just as certain to get kids moving and dancing. It’s a simple song about kids having fun with a hula hoop. The subtle guitar riff and electronics will definitely get kids dancing. And it may even get parents tapping their toes and clapping their hands a little bit, too. For all the fun that Miss Nina offers her young listeners, there is at least one track that stands out more than others on this record. That song is ‘Angry Song.’ The song’s kid friendly punk rock sound mixed with its lyrical side tackle what is for kids a serious issue. It validates their more emotional moments, as Miss Nina sings, “This is my angry song/When everything is going wrong/I’m mad and sad and full of steam/And all I want to do is yell and scream.” That combination of music and lyrics makes this a relatable song for its audiences. Along with the album’s other songs, it’s one more than kids and parents alike will appreciate albeit for their own reasons. But that’s still a good thing. It means that whether at home, in the car, or in the classroom, this is a record that parents and teachers can enjoy together with their children and students any time of day, any day of the week. For more information on Miss Nina’s new release any upcoming shows and more, parents can log on to http://www.MyMissNina.com and http://www.facebook.com/MyMissNina.